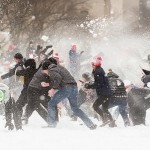 Hundreds of students engaged in the epic snowball fight held annually on Bascom Hill. The spirited battle pits members of the Lakeshore and Southeast residence halls against each other. A campus wouldn’t be a campus without bricks and mortar, without indoor spaces to teach and learn and conduct research — especially when winter hits hard across the Midwest. But at UW–Madison, we also place great value on outdoor spaces, those spots where nature has dibs. 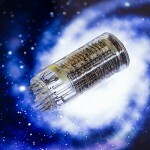 While cleaning out Sterling Hall cabinets that hadn’t been opened in decades, UW–Madison Space Place Director Jim Lattis and colleagues in the Astronomy Department struck historical gold: a collection of old photodiode and photomultiplier tubes dating to the earliest days of photoelectric astronomy. The university is donating 20 of the vintage photo detectors to the Smithsonian Institution for its permanent collection of astronomical instruments. On Sunday, Feb. 8, hundreds of students engaged in the “Battle for Bascom 2K15,” an epic snowball fight held on Bascom Hill. In what is becoming an annual tradition, the spirited battle pits members of the Lakeshore residence halls against those from the Southeast residence halls. The Lakeshore team claimed victory this year, yet fun seemed to be had by all. Only a handful of games immediately qualify as Camp Randall classics: "The Dayne Game" and the 2010 upset of Ohio State spring to mind. With Nebraska in town, no one thought Nov. 15's game versus the Huskers would be dull. 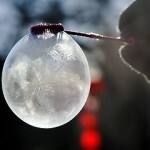 But it's unlikely that any of the 80,539 expected to see such an incredible show. Drawn from a record number of entries, 10 pictures at the intersection of art and science have been chosen as winners of the 2013 UW–Madison Cool Science Image contest. University Communications’ photographers have culled through hundreds of options for favorite images from 2011 that capture the campus through four seasons, major building projects and initiatives, transitions in leadership, learning inside and outside the classroom, research in progress, the Wisconsin Idea in practice, and Badger spirit in its many forms. 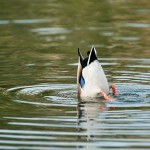 The Wisconsin Institutes for Discovery offers proof positive that promises can be kept. Since opening in December 2010, the 300,000-square-foot building is delivering on original plans for an innovative, sustainable space, and is providing an environment that fosters collaborative science and hosts public outreach activities. The complex interplay between the earth's climate on global and local levels drives UW–Madison atmospheric and oceanic sciences professor Ankur Desai's research. In September, students from the soils and waters course at the College of the Menominee Nation in Keshena, Wis., joined Desai's team to get a look at the high-tech methods researchers use to monitor carbon flux — the movement of greenhouse gases like carbon dioxide in and out of plants, water and soil.